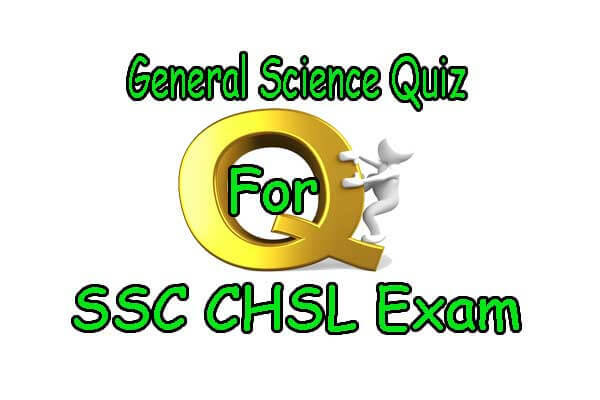 In This Chapter, we will see the "General Science Quiz For SSC CHSL Exam ". There are the previously asked Questions of SSC CHSL Exams. So Do all Questions and also remember it. Let's Start "General Science Quiz For SSC CHSL Exam" Questions. 1. Which one of the following gases is the supporter of combustion? 11. Why is it difficult to see through fog? 12. Which one of the following planets has the largest number of natural satellites or moons? 19. In the human body, Cowper’s glands form a part of which one of the following?